One of my favorite subjects in historical films and books is the Samurai/Shogunate period in Japan. While I can binge watch Yojimbo, Throne of Blood, and 7 Samurai over and over, there are precious few Western novels written about that time. 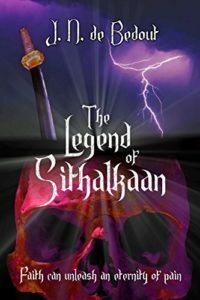 When I came across this history/fantasy series, The Legend of Sithalkaan, I knew I had to talk to the author, J.N. de Bedout. I’m from Colombia, so English, technically, is not my first language. I work developing medical software and have been doing that for over thirteen years now. My academic background is in engineering, but with a minor in history. 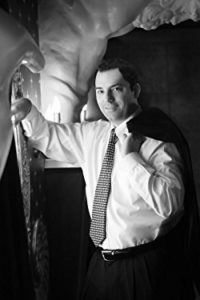 History has always fascinated me, and I hope that my books showcase that. But, you’ll notice that there is no literary background. Nor do any of my family members have literary backgrounds; they are all engineers. But, I was always a good storyteller. I could make up stories during long road trips and keep everybody entertained. Teachers often told me I had a future in writing. But it would be decades before I took the fateful plunge into publishing. Having an exciting tale to tell helped, too. The series, “The Legend of Sithalkaan”, originally started as a single book. But it was too long to publish as one. 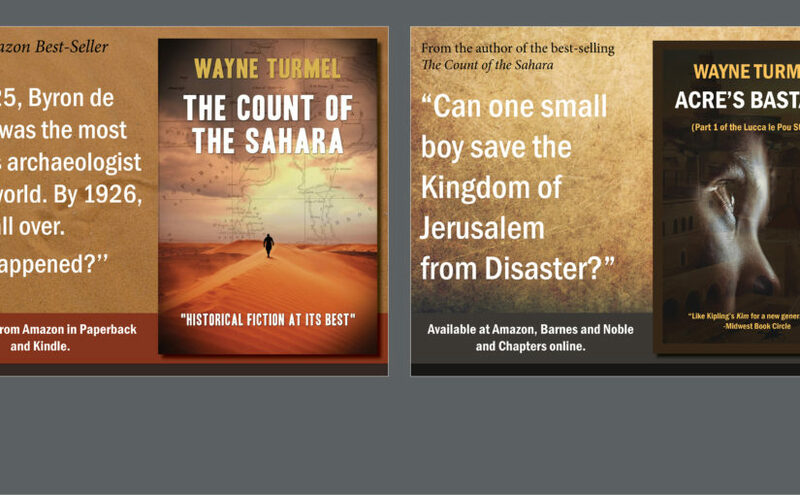 Fortunately, there were natural breaks in the story that allowed me to snap it into four separate books, though they are parts of one continuous tale. Ideas for a future series are already marinating, so the literary adventure will continue after book 4 comes out. I had a lot of fun forging the twists and defining the characters. One of the best things about writing is a Colombian, writing in English, can tell a story set in Ancient Japan. As a Canadian, living in the US and writing about the Crusades in the Middle East, I see nothing odd about that. Your series has a fascinating premise, and I know it’s fantasy based on historical reality, but help me out. What’s it about? The book re-imagines certain events that transpired during the Sengoku Jidai period of Japanese history, wrapping them in a conspiracy that explains the subsequent two-hundred years of Tokugawa peace as well as certain war crimes that were alleged during WWII. First and foremost, book 1, “The Legend of Sithalkaan”, spans two key battles: the attack and destruction of the Warrior Monk stronghold on Mt. Hiei and the attack on the Warrior Monk fortress at Nagashima. History records both battles as being led, and won, by Oda Nobunaga. But the re-imagined tale offers a different explanation for those two events. It also transplants a modern scourge, religious extremism, into a fictitious Warrior Monk sect and elevates them from the nuisance these groups were historically to an existential threat. The tale follows a young, ambitious musketeer that is conscripted to guide three priests into the war-torn interior. They seek a rumored demonic relic on orders from the Vatican. During their journey, they encounter a resurgent fanatical sect that seeks to destroy the samurai order by unleashing dark powers concealed in that same relic. The far-reaching mythology surrounding the relic is introduced; its tentacles reach as far as Kaffa (on the Crimean Peninsula), Imperial China, the Mongolian steppes, and Japan. The warped and virulent tenets of the ancient and assumed-to-be-defunct fanatical, and heretical, faith are also introduced. The second book, Tears of the Kensei, introduces new champions, deepens the mythology and expands the campaign, and the third book, Master of Heaven, concludes the main story arc with an epic clash to define the fate of Japan, the world, and the heavens. The fourth and final book in the series will be out late 2018 or early 2019. I can summarize the four books, in order, in this simplest of fashions: the legend, first contact, final showdown, and the revelation. On top of that, the tale is also one of self-discovery for the protagonist; his past is murky, and his journey will lead to an unexpected destiny by the end of the third book. What is it about that time period that motivated you to write the stories? The tale is set during the waning years of Sengoku Jidai period of Japanese history, (approximately 1460-1600 for us Westerners, give or take) and as such, it is chaotic. Think of it as the equivalent of the Thirty Years War in Europe. When people imagine the samurai, they have an ideal of noble warriors following the Bushido. But in reality, the foundations of that discipline were often ignored during the Sengoku period; instead, it was refined and perfected into what is known today during the peaceful years of the later Tokugawa dynasty where warfare was near non-existent. Furthermore, if you read about Oda Nobunaga’s early struggles, you’ll find that much of his early conflicts were with rebellious Warrior Monk sects rather than other samurai clans. It’s also quite interesting that Oda Nobunaga, probably one of the most renowned samurai ever, was a pioneer in gun tactics. For example, he was the first to invent the tactic of rotating fire. The period also gave us such notables as Takeda Shingen and Uesugi Kenshin, who clashed in numerous battles but only faced each other in battle once; during the 4th battle of Kawanakajima, Uesugi Kenshin burst into Takeda’s command tent but only had time for a single strike, which Takeda deflected with his war fan. Add to that the Portuguese arriving and injecting guns and Christianity into the mix. That confluence makes for a great setting for the books. Faiths collide. Technology transforms battlefields. Honor means little to all but a few stalwarts. That same chaos allowed Oda Nobunaga’s successor, Toyotomi Hideyoshi, to become de facto Shogun even though he served as a sandal bearer in his early career. And, it empowers the main protagonist, a simple commoner, to rise in rank and pursue his dreams of becoming a samurai. Without giving away spoilers, what was your favorite scene to write? It’s difficult to pick just one. The battle scenes in “The Legend of Sithalkaan” were certainly fun to write. The law of the gun versus the way of the sword. Samurai versus Warrior Monk. Sieges. Standoffs. Escapes. Topics also include the afterlife and immortality. There’s another scene where the protagonists learn of the ghastly practices of their new enemies. The scenes in the fortress of Futoge were interesting, too, borrowing from several European Black Death architectures. But I think the scene where they enter the labyrinth has to be my favorite. It’s a climactic moment in book 1 where the protagonists learn a terrible truth about the relic. It is dark and perilous and shrouded in mystery. Plus, they face a threat none of them anticipated even though it’s forewarned in the iconography on the central crypt. It also occurs at the pinnacle of a pitched battle, so much of the fighting leads up to this moment. Inspiration for the use of the labyrinth, as well as the name of the fanatical clan of Warrior Monks originated with the Greek tale of the Minotaur. The symbolism of the labyrinth was appealing. Beyond the obvious benefits such an enigmatic structure offers, it helped to portray the long foresight of those who built it. Plus, its very existence ends up being exposed as a travesty born from poor coordination and ignorance. Any reviews or comments are most appreciated.